Comments Off on Rare hermit crab species found in the Caribbean, obesity growing in Latin America, and Amazon indigenous groups threaten war in Brazil. A group of scientists from Argentina and the United States conducted GPS measurements to determine the new height of Mt. Aconcagua as 6960.8 meters above sea level. This research is part of an international study of the Central Andes whose main objective is to measure changes in the Earth’s crust. 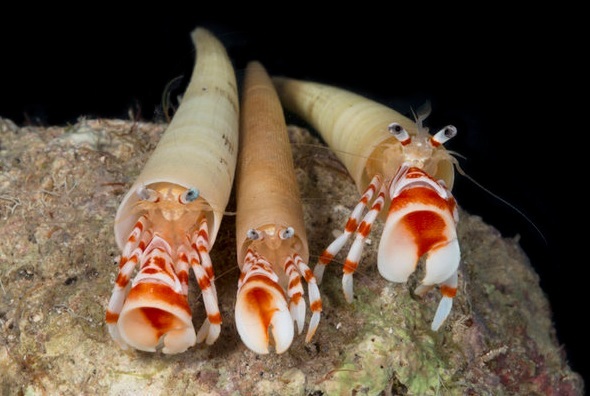 A rare hermit crab species has been found alive in the Caribbean. Credit: Barry Brown/Substation Curacao. Certain lipids present in the testicular cells of sheep and cattle are being studied by scientists at Argentina’s Universidad Nacional del Sur. These could be used to solve fertility problems in both species and are also expected to be associated with male infertility. An Amazonian community has threatened to go to war with the Brazilian government over the construction of hydropower dams on the Tapajos river—the fifth largest river in the Amazon basin. The Munduruku community has said the presence of construction teams is an act of military incursion. The development teams are accompanied by military personnel for protection. Using stratospheric balloons, at a distance of 40 km from the earth, a group of scientists observed the terahertz frequency band to better understand the power generation of solar flares. The first live specimens of a hermit crab have been found in the Caribbean. Pylopagurus discoidalis had previously only been known through dry specimens collected more than a century ago. They were found off the coast of Curacao. Chile has halted the construction of the US$16.5 billion Pascua Lama gold mine, citing environmental concerns. Santiago’s Court of Appeals issued an order suspending construction on Wednesday. Canadian mining company Barrick Gold had already started construction of the open-pit mine at an elevation of 13,200 feet on the Chile-Argentina border. The indigenous Diaguita group filed the environmental complaint that led to Wednesday’s ruling. By 2030 there will be 191 million obese in Latin America, says a new study from the World Bank. Brazil and Mexico will be the countries that will be most affected in the region. Experts say that the main causes of this increase are the displacement of people from the countryside to cities with more sedentary jobs, the routine use of transportation and the consumption of cheaper food with less nutritional value. The whitefly can cause crop losses in tomatos by transmiting various viruses to the crop and Begomovirus severely affects tomato production in Central America. Scientists led by the Central Agricultural Research Institute in Panama are developing resistant varieties which may be available to producers in the short term. The team, which has collaborated with the International Center for Tropical Agriculture, has conducted a series of field trials in Guatemala, Costa Rica, Nicaragua, El Salvador and Panama with promising results.